Photos disappeared from iPhone iPad after update? This guide offers 5 solutions to help you recover lost photos after iOS 11/11.1/11.2/11.3/11.4 update. Download PhoneRescue for iOS on your computer firstly, and then follow us to fix iPhone iPad photos disappeared after update problem. You know, the latest OS for Apple devices – iOS 11 was released in the past year. Apple continually released iOS 11.4 to improve performance. iOS 11 brings much improvement to Photos, Live Photos can be more expressive. New professional-quality filters for you to choose. The next-generation compression technology lets you take high quality photos as before but at half the file size. All of them are fantastic, and make you can't wait to upgrade to the latest iOS 11. After updating to iOS 11, you just can’t wait to try those new features by yourself. However, when you open Photos app on your iPhone or iPad, only to find your photos disappeared after iOS 11 update, which is quite annoying. How to fix this problem - iPhone iPad photos disappeared or missing after update? In this guide, we collect 5 solutions to help you recover lost photos after iOS 11/11.1/11.2/11.3 update, and even the newest iOS 11.4. Press and hold the wake/sleep button > Drag slide to power off > Restart your device after a few seconds > Open Photos app to have a check whether your photos come back. You can first try this basic tip, if it does not work, then keep reading. If you find that your iCloud photos lost after iOS 11 update, go to have a check whether you have logged in your iCloud account. If you have logged in, then you can log out and then log in again to have a try. Make sure you have enable iCloud Photo Library if you use this feature before. The iCloud photos will disappear if the Sync function is off. From iOS 5 to iOS 11, almost all the iOS update preparation related guides advise that we should back up our iPhone iPad before updating to new iOS. 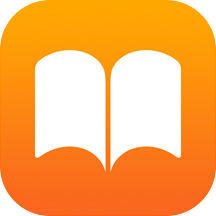 If you have ever read any of them, you must have made an iTunes or iCloud backup in advance, which is the best way to avoid iPhone/iPad data loss problems during iOS update. If you have made one, you can follow us to fix iPhone iPad photos missing problems by restoring iDevice with iTunes or iCloud backup, if you haven’t any available backup, move to Solution 5 Part to fix it. 1. Once you restored your iPhone with the selected iTunes/iCloud backup, all the current data on your iPhone will be erased, and replaced by the content in backup. This means the new messages, photos, contacts, and other iOS contents are not included in backup will be erased. 2. You never know what files will be restored to your iPhone iPad before restoring your iDevice. So you even can’t sure if this iTunes or iCloud backup contains the missing photos. Therefore, we recommend you an iPhone backup extractor tool – PhoneRescue for iOS, which can works as an iTunes or iCloud backup extractor to extract anything you like from iTunes or iCloud Backup, without restoring iDevice or erasing existing content on iPhone iPad. 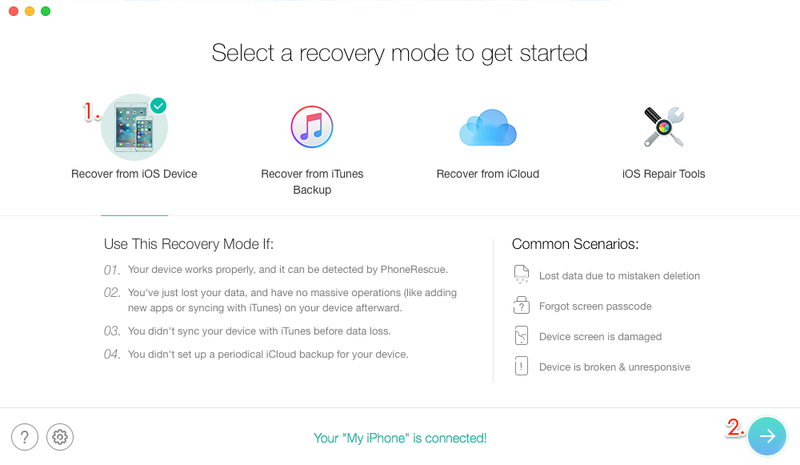 Next, we will show you how to recover deleted photos from iTunes or iCloud backup with PhoneRescue for iOS. If you can take the risk of losing all the current content on your iPhone iPad, or restoring your iDevice with a wrong backup, you can restore your iPhone iPad with the two guides: How to Restore iPhone iPad with iTunes Backup and How to Restore iPhone iPad with iCloud Backup. If you want to keep all content safe, please read on! If you backed up your iPhone with iTunes, you can follow us to check if this backup contains the missing photos, and get them back to your iPhone iPad’s Photos App. Step 1: Download PhoneRescue for iOS on your PC or Mac computer, install and run it, and then connect your iPhone iPad to computer with USB cable. 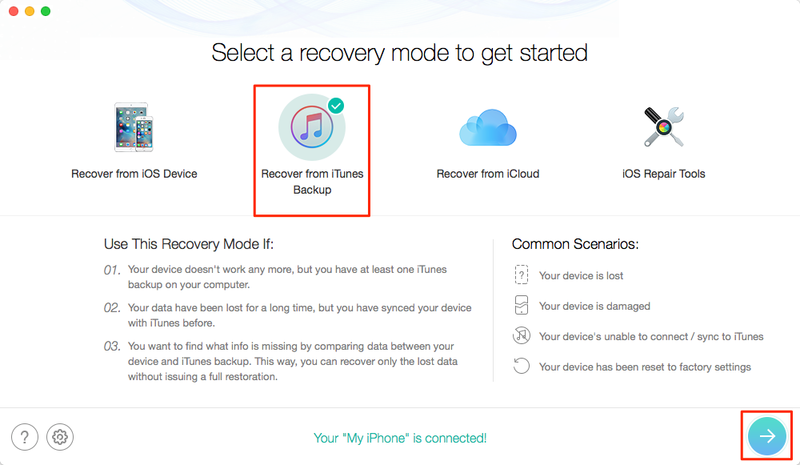 Step 2: On Homepage of PhoneRescue for iOS, select Recover from iTunes Backup and then click right arron button to scan your computer for listing all the iTunes backups. Step 3: Select the right backup, and click right arrow button to scan this backup. And then click Compare button (it will find out all the contents included in backup but not on your Device), select Photos and other file types you want to retrieve, and then click OK button. 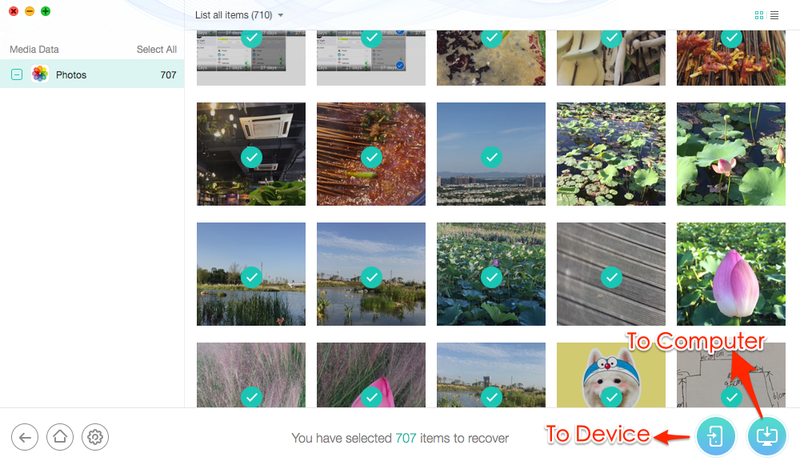 Step 4: Preview the photos and select the photos you want to recover, and then click To Device button to get them back to your iPhone iPad’s Photos App, or click To Computer button to recover them to your PC or Mac computer. If you fail to find out the missing photos in this iTunes backup, you can repeat the steps above to scan another iTunes backup. 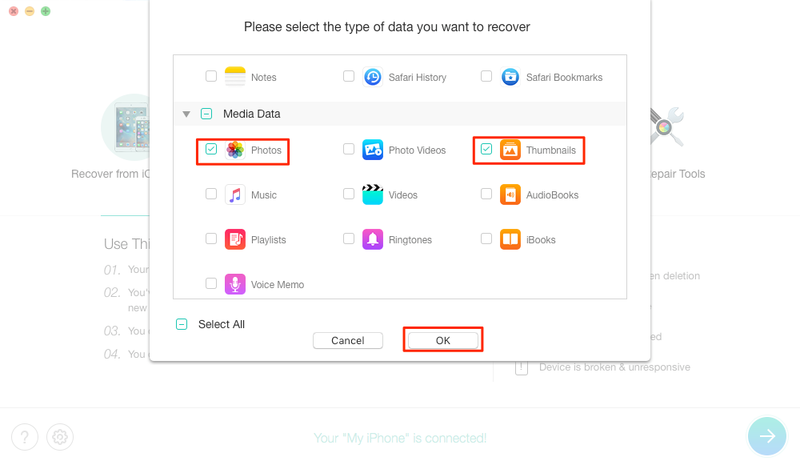 If still failed to recover them, this means those photos are not included in iTunes backup, you can read on to get them back with iCloud backup or move to Solution 5 to recover lost iPhone photos without backup. Step 1: Download, install and run PhoneRescue for iOS on your PC or Mac computer, then connect your iPhone or iPad to computer with its USB cable. 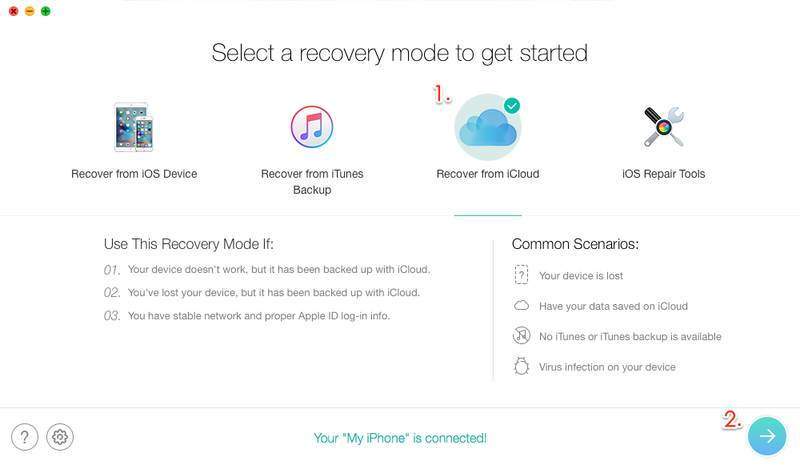 Step 2: On Home of PhoneRescue for iOS, select Recover from iCloud and then click right arrow button to go next step. Step 3: Input your Apple ID and password, and then log in. Step 4: Select the right iCloud backup, click Download button, select Photos and other file types you want to retrieve, and click OK button to start downloading this backup. 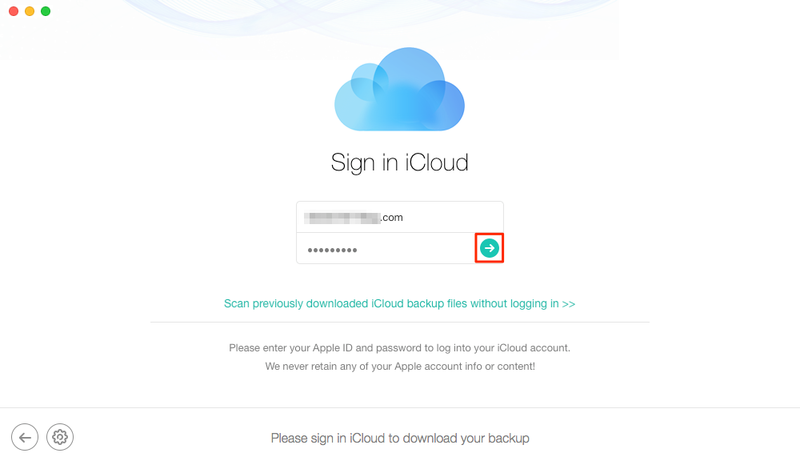 When the download finished, click right arrow to scan this iCloud backup. The download time varies from your backup’s size and network’s speed. Step 5: Preview these photos backed up in iCloud backup, select the photos you want to recover, and then click To Computer or To Device button to recover them to computer or iPhone iPad’s Photos App. After trying all the solutions above, if you still fail to fix this data loss problem – iPhone iPad photos disappeared after iOS 11 update, here has the last way to try – recover lost iPhone photos without backup. Absolutely, you can’t make it directly without outside help. Just like we mentioned above, the iPhone iPad backup extractor – PhoneRescue for iOS also can work as an iOS data recovery tool to recover deleted or lost photos on iPhone iPad without backup. Next, we will show you how to recover lost photos on iPhone iPad without backup. Step 1. 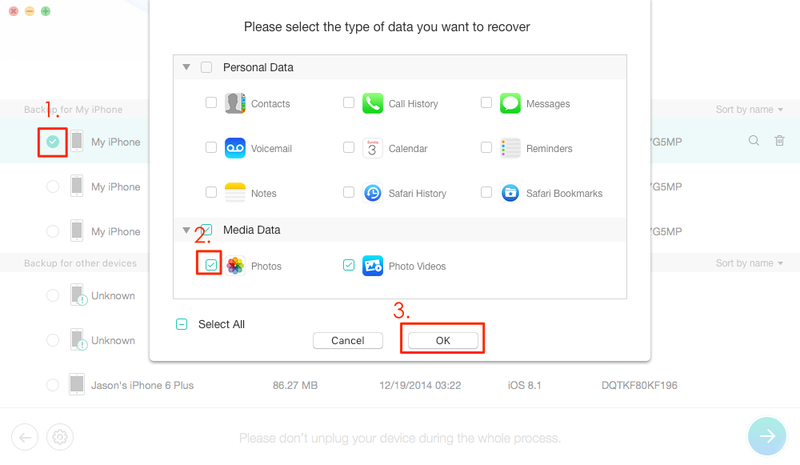 Go to PhoneRescue download page, then choose iOS Data Recovery to download it on your Mac/PC computer. Step 2. Run PhoneRescue for iOS > Connect your iPhone iPad to computer with USB cable > Select Recover from iOS > Click right arrow button to go next step. Step 3. Select Photos and Thumbnails > Click OK button. Step 4. 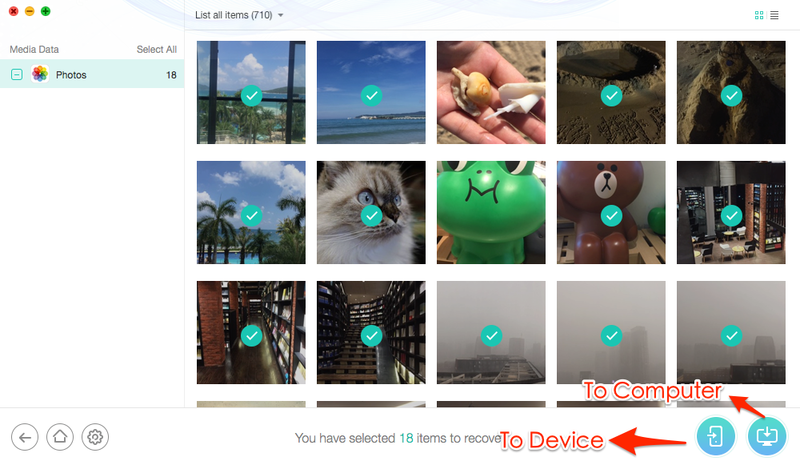 Preview the deleted but not overwritten photos on your iPhone > Select the photos you want to retrieve > Click To Device or To Computer button to recover lost photos. To Device button will get lost or missing photos directly back to iPhone iPad’s Photos App. To Computer button will recover lost iPhone or iPad photos to your PC or Mac computer. 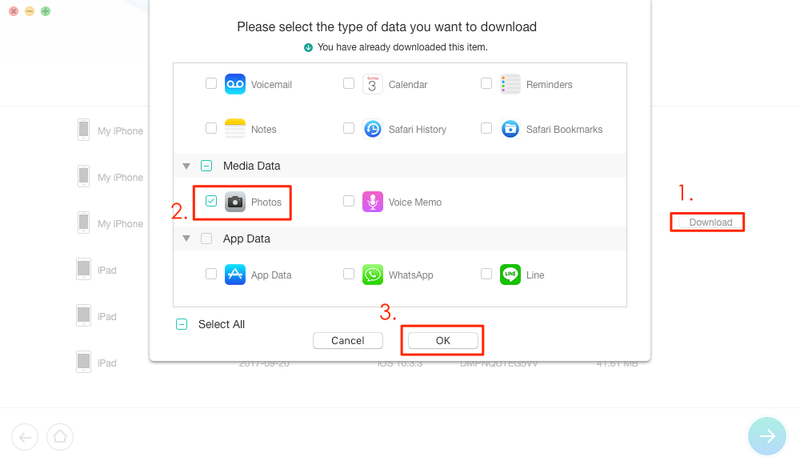 Except photos, if you also find other iOS data disappeared or lost after iOS 11 update, like Contacts, Messages, Notes, Bookmarks, Music, even everything, you can follow the guides below to get them back. That’s all for how to recover lost photos after iOS 11 update. If you like this guide, please share it to help more people. If you have any better idea to get back lost photos, just share it in comment section.